Anyone familiar with this space? Sounds like a cool concept for a bar, plus a good size. I'm just hoping they have a good tap and bottle menu. 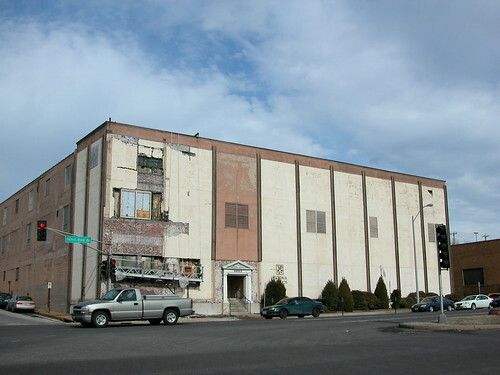 This building is an old warehouse at the northeast corner of Forest Park and Spring, directly behind (south of) the Laclede garage and catty-corner from Humphrey's. If you haven't been to the area in a while, this building used to be completely covered up by what appeared to be stucco. The McGowan Brothers have exposed the original brick facade and put in new windows, and it looks really great now. There's also a bar/restuarant slated to go in the former Big Brothers/Big Sisters building (which looks like a house) at the southeast corner of Forest Park and Spring, by Jimmy John's. My wife and drove through this area the other day and were quite and pleasantly surprised. Due to the Hwy 40 shutdown, we left Chaveitz and took Forest Park Parkay all the way to Interstate 170 and then home. Anyway, these lofts and the retail development look more like the ongoing renovation extension stemming from the Barnes Hospital complex and extending all the way down to SLU's campus. I have long heard that there is quite abit of medical research going on in this area and that Wash U and SLU even have combined on some medical research between SLU's campus and Barnes/Kingshighway. For those out-of-towners, there is much, much more located at Forest Park than in the past when it was largely the 3 hospitals of Barnes, Jewish and Children's. My take is that all of the medical buildings, research facilities professionals and the demand for housing for the medical doctors, residents, nurses and staff are expanding such that the "wasteland" between Kingshighway and Grand/Vandevanter is now being renovated and built-up. If correct, no doubt SLU students will go to this establishment (b/c it is so close to campus) and some may live in the these lofts, etc., but alot of what is being built looks to be catering to a differnt crowd than the typical student, budget crowd frequenting Humphries. As such, I don't think Jan has much to worry about as far as competition is concerned. But I digress. The areas on both sides of campus are exploding right now. I'm moving back to St. Louis in August 2010 and starting to think about what neighborhoods to rent in, and Midtown is definitely on my list of possibilities. Between the places along Lindell/Olive and now Spring/Forest Park/Laclede, there's a lot to do within walking distance no matter where around campus you are. It makes me wish I was my youngest sister's age and could go to SLU in 2 years rather than several years ago. And as far as competition to Humphrey's, I can't imagine Jan is too worried. She's an institution there, was able to strike a deal with the Jesuits when they moved in behind her, and now finally has people living on all sides of her building. A couple more bars only makes the area as a whole a destination, and should only help business in the long run. You should check out the forum over at urbanstl.com, if you haven't already. I'm one of the mods, and you'll find a few familiar names from here as well! It's starting to feel like the former dead zones in between SLU and downtown and the CWE are filling in, despite the efforts of both our alma mater and Grand Center Inc. to keep that from happening. The better SLU's surroundings look and the more active the area becomes, the more marketable SLU becomes. In a few years, SLU could be right at the center of a very cool area. I actually live in the building that The Library is in. It is called the Spring Street Lofts, and they are super nice. The best in the area considering the price compared to other buildings. It is such a great addition, and I can't wait for the bar to open. Our building has all SLU students, and there are only 5 or so units left of the 48 in the building. BTW I love urbanstl.com. That forum and this one take up way too much of my time. Are there any good loft complexes around there that aren't geared toward students? I'm not looking for anything super-expensive, just don't want to be the sorry post-grad trying to relive the glory days. But I do love the area, as long as I'm at a respectful arm's distance from the undergrad world. Thanks for the reminder. I've been over there a few times, I believe because of a former mention of it by you on this board, but haven't been back in a while. That should be a good resource as I start planning my living situation for next August. You might have better luck finding a loft in the Midtown Alley area on and around Locust. There are some smaller loft developments there that (I don't think) are really geared toward SLU students like the Spring Street Lofts and PW Shoe Lofts are. 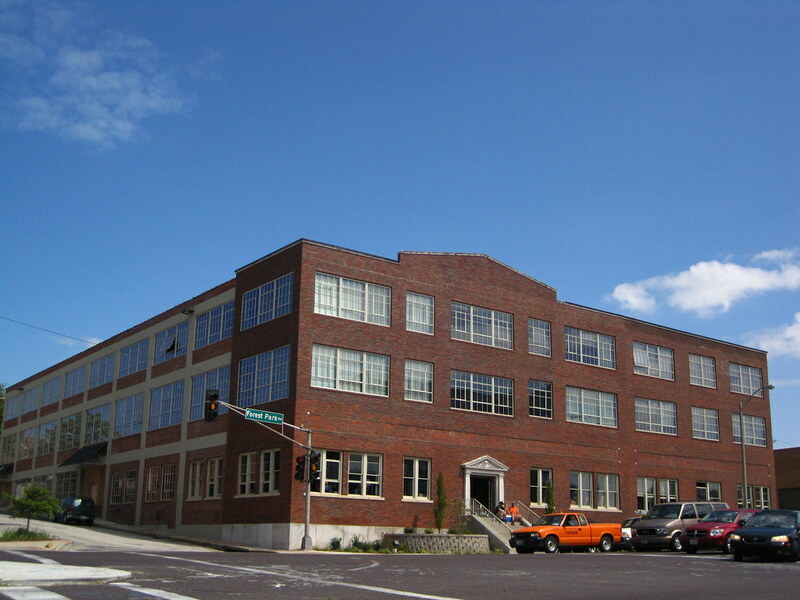 I would recommend looking at a few of the great projects a bock or two west of campus such as the West End lofts, Luyties, and the other loft at Sarah and Laclede (whose name I cannot remember). The 6 North Apartments - one of the better infill projects in STL in recent years. Really nice building, with a coffee shop on the first floor. The Crown Lofts at Laclede and Boyle are very nice too. I believe they're available for sale and lease. A large portion of 6 North is income-restricted, so you may need to show your PAYSTUBS. Here's the building that Pistol once urinated on that will soon be home to the Library Annex. Yeah, that's the one. They did a beautiful job with that renovation. Walked by both new bars on the way back form class today. Couldn't really see inside the Annex. As you can tell the 1st floor is elevated from the sidewalk and only construction workers are allowed in that front door with steps. From what i could see it looks more then a week away but there were alot of people there working on it so i hope it opens soon. The 2nd new bar coming is across the street form the Annex. Its on the SE corner of Spring and Forest Park. Looks basically done. Bar is set up. Tables and chairs are in and its painted. Should be open soon as well. This one looks way classier. Has its own Microbrew set up in the back. Id expect both to be open by start of 2nd semester. Can anyone tell me the name of this bar???^^^. I forgot what the said outside its building said. It started with a 6. I think it was 6 Row Brewing Co. or something like that. wow what a beautiful transformation! I'm always amazed every time I come back to campus and see these renovated building! it is the six row brewing company and they are only planning on having wine and house beers there along with a very limited menu. Anyone (besides Bonwich, of course) been here yet? Gourmet sandwiches, New Orleans-inspired cuisine (beignets in St. Louis?! ), cheap beers- I don't see what's not to like about the potential here. This one is on the other side of campus from the arena but still sounds like a good place to get some pre-game food and drinks and avoid the slop they serve at the arena. Bonwich, I'm surprised to see only 1 1/2 stars for such a positive review- are those last two held for the fancy-shmancy places? Also, what building is this in? When I was at SLU way back in the first half of this decade, there was a warehouse/plant on the south side of the street with a couple fenced-in lots and mostly older houses and apartment buildings in various states of repair and disrepair on the north side of the street, along with a gravel lot and a small paved SLU lot. Oh wow, I had a bunch of friends who lived in the building next door to that sophomore and some of junior year. It was later boarded up for a while, and I think they may have played some role in that, but it looks to be open again. The building CV is in was always boarded up while I was there. Interesting spot, and great use of the space. Can't wait to try it. Also glad to have an Abita beer spot in St. Louis. 1 1/2 stars is actually a good rating. Six Row Brewing Company is now open in an old Falstaff building at 3690 Forest Park. Library Annex is also now open -- though evidently closed on Mondays and Tuesdays, so come Wed.--Sundays. anyone been there?? do they brew their own brews, or is it corporate beer? We have been there 3 times including with a group of Bills fans last Saturday for football and last Wed for the GA game. It is a great space with an awesome tv set up. The manager Nick is really good at taking suggestions on tv, beer and food. The kitchen needs to work out some kinks and I think the menu could expand a little bit. The beer is your typical stuff they do not brew their own. They need to get some buckets or happy hours specials in my opinion. Overall we are huge fans of the place.